It seems like every day there is a new exciting app or technology that has been developed specifically for weddings. I stumble across these types of applications and typically exclaim: I totally could have used that! Since I won't be getting married again I'm going to share these cool developments with you through the blog. I'm going to try and do this on Thursdays so we can get into a "Tech Thursday" groove! Do you have an iPad? 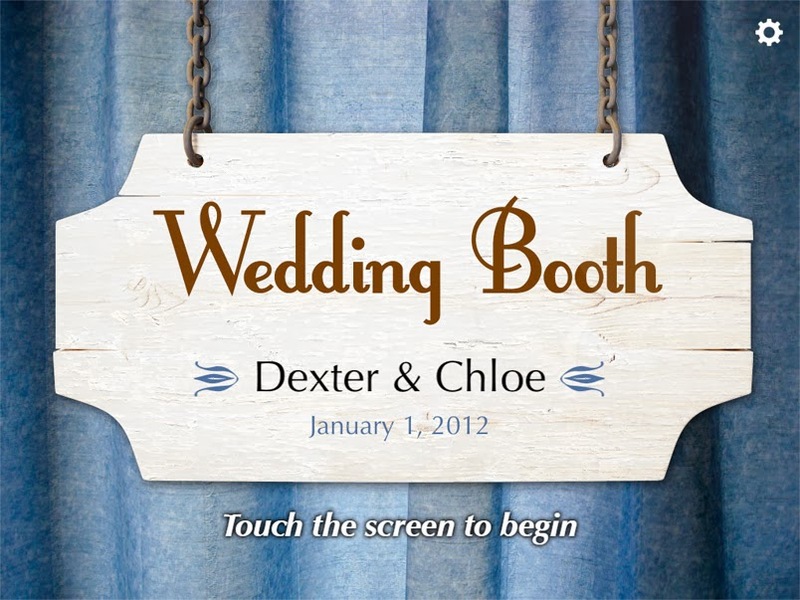 If you do then you need to check out the Wedding Booth App! This application creates a portable (or stationary) DIY photobooth that is perfect for events small or large. The app is expensive ($9.99 on iTunes), but is very easy to use and definitely fun. Plus it is totally customizable to your event!